Game Two: Saturday at 2 p.m.
After falling hard to the Mavericks on Friday 18-1, the Mountaineers (12-19, 3-8 Sun Belt) came into Saturday’s game hoping for a new result before losing 5-2 to UT Arlington (16-16, 6-4 Sun Belt). 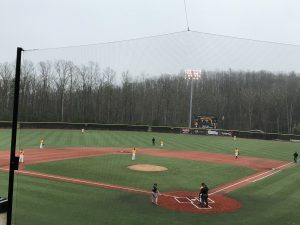 App State started lefty Colin Schmid while UT Arlington started Trae Patterson and both were dealing early, not allowing a hit until the bottom of the third when Brian Bauk led off the frame with a double. The next half inning was when the first run was tallied for the Mavericks to give them the lead 1-0, after Omar Salinas recorded their first hit and later scored on a throwing error by shortstop Jason Curtis. 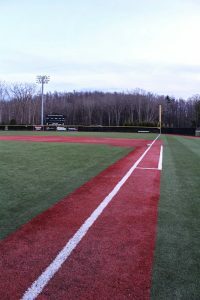 The Mountaineers quickly responded with a run of their own after a two out single by Bauk to drive in Matt Vernon in the bottom of the fourth inning. The sixth inning rolled around and Schmid allowed two walks and a single to lead off the inning and then UT Arlington added two more runs off of a fielder’s choice and a sacrifice fly to take a 3-1 lead. 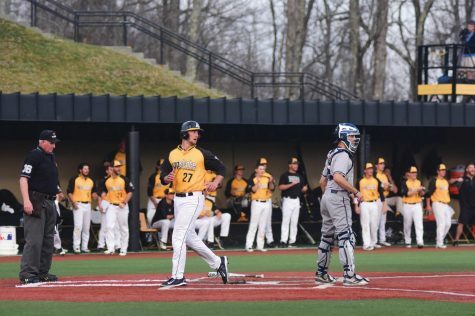 Appalachian wasn’t going to roll over without a fight though, cutting the lead back down to one after a leadoff walk in the bottom of the sixth inning that scored on a first base Conner Leonard sacrifice fly. But the clutch hitting with runners in scoring position didn’t stop for UT Arlington as they put it out of reach in the seventh scoring two runs off of two- run double by Quintin Rohrbaugh to extend the lead to 5-2, and the Mavericks never looked back. 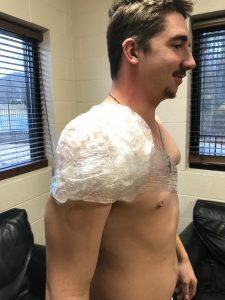 With the loss, Appalachian looks back at the “what ifs” while stranding 10 men on base Saturday and not getting the clutch hit needed that ultimately hurt them in their chance of winning the game. “We weren’t able to get that single or get that double with runners in scoring position, and if we do, I think it’s a whole different ballgame,” Smith said. 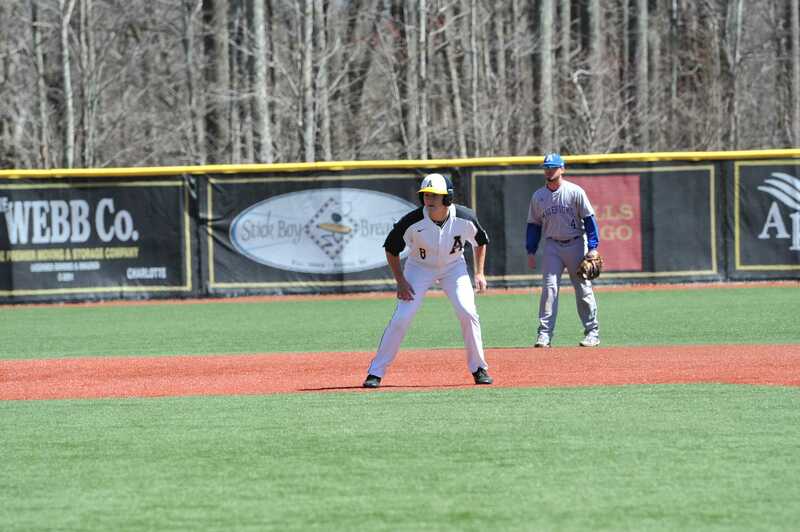 Overshadowed by the lack of scoring, the App State offense had 10 hits with four of them coming from the seven spot in the order Bauk, who went 4-for-4 with an RBI. “They threw me a lot of good pitches to hit and that just happens some days, they made some bad spots and took advantage of it,” Bauk said. No run support hurt Schmid, as he had a very solid outing going 6.1 innings only allowing four hits and three earned runs in the loss. 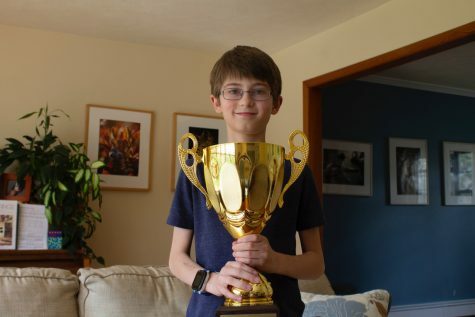 “He’s been fantastic for us, I thought he did a great job,” Smith said. 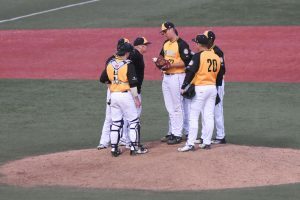 After the big loss Friday, Schmid wanted to come out and set the tone for the Mountaineers in showing it was a different day, and this App State team is better than how they performed the day before. Schmid was very effective and efficient over the start Saturday afternoon, mixing up his deceiving changeup in with his great fastball location that was present all over the plate all day. 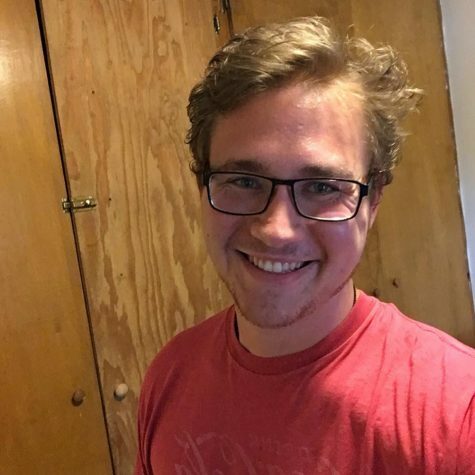 “A lot of the time my changeup is my go to pitch if I’m struggling with my fastball, but I utilized all three (of my pitches) today,” Schmid said. 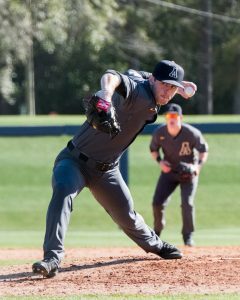 Patterson also mixed up his pitches for UT Arlington, as he was too much to handle at the end of the day for the Mountaineers as he went 6.2 innings scattering seven hits and only two runs. The relief of Austin Gardner and Daniel James for the Mavericks over the final 2.1 innings, only allowing three combined hits a no earned runs shut the door on the App State offense to take game two of the three game series. Game Three: Sunday at 1 p.m.
App State (12-20, 3-9 Sun Belt) hosted UT Arlington (17-16, 7-4 Sun Belt) in the final game of a three-game series Sunday afternoon, falling to the Mavericks 6-5 despite a late comeback by the Mountaineers to finish the weekend 0-3. 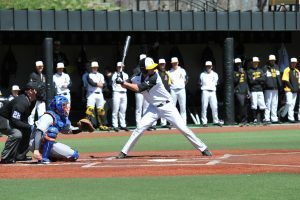 Appalachian continued the trend of falling behind early as UT Arlington jumped out to a 2-0 lead in the second inning off of a two out double from RJ Williams off of App starter Luke Watts with the bases loaded. 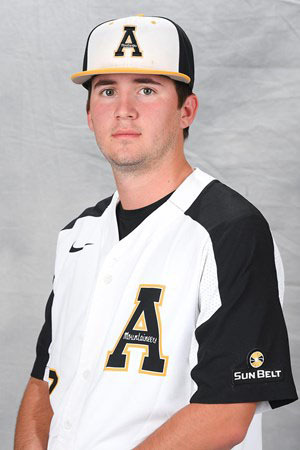 But Watts then found a little groove, and App State gave him some run support in the third inning by plating three runs off of starting pitcher Jakob Hernandez. It all started with a Brian Bauk walk, well-earned single by Conner Leonard, and a sacrifice bunt by Calev Grubbs to move runners to second and third with one out. Jason Curtis then came up and produced a sacrifice fly to bring in Bauk from third followed by a throwing error by third baseman Brady Cox on a Matt Vernon ground ball. With the throwing error by Cox, Vernon moved to second and was driven in by Drake Zupcic with a single through the left-side to give the Mountaineers the lead 3-2. 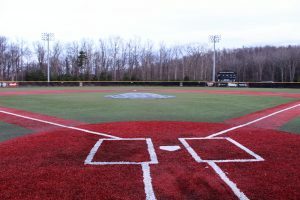 After the third inning, App State failed to get another run across until the ninth inning when they tried to stage their comeback and this was largely due to the work of Hernandez. Hernandez had a very impressive line for the Mavericks, going six innings and only allowing three hits and three runs, while only one was earned he had a heavy workload throwing 111 pitches. Hernandez holding the Mountaineers cold after the third is when UT Arlington made their comeback in the fifth inning scoring three times. The runs were headlined by a bases loaded single and an error in center field by Bauk that brought in everyone that was on. Prior to the fifth inning, Watts was on a roll, but fatigue seemed to catch up to him as his pitch count started to climb and he started falling behind batters in the count. Watts day ended a little earlier than anticipated going 5.1 innings allowing five runs (four earned) and only three strikeouts on 95 pitches. Despite the tough outing for Watts, the App State bullpen kept them in the game with Reed Howell and Matt Brill allowing one run in a combined 3.2 innings. The only blemish was on a successful rundown between first and second base by the Mavericks that scored the runner at third before recording the out in the rundown on the attempted stolen base. In the ninth inning, App State still trailed 6-3 when they decided to make the game interesting loading the bases with nobody out. Pinch hitter Colin Schmid grounded to the pitcher and started a 1-2-3 double play on a bang-bang play at first base that seemed to do the Mountaineers in, but Avery Jackson who pinch-hit earlier in the game smoked a single in the left-center field gap to bring the score to 6-5. Another pinch-hitter, Dylan Hamel then walked to the plate as the go ahead run before striking out to lose the game. 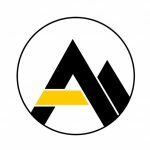 It was a spirited comeback by the Mountaineers as they were swept by UT Arlington over the weekend, but the team hopes to keep moving forward as plenty of conference games are left to be played. Appalachian State travels to Davidson on Tuesday to take on the Wildcats at 6 p.m.